Dogs are known to be messy. You leave them alone for a while, and they’ll be sure to turn the house upside down. No matter how many toys you get them, you’ll always need more. Why? Because some of them might be buried in your backyard, some could be ripped apart, and some will reappear from behind your couch after years. 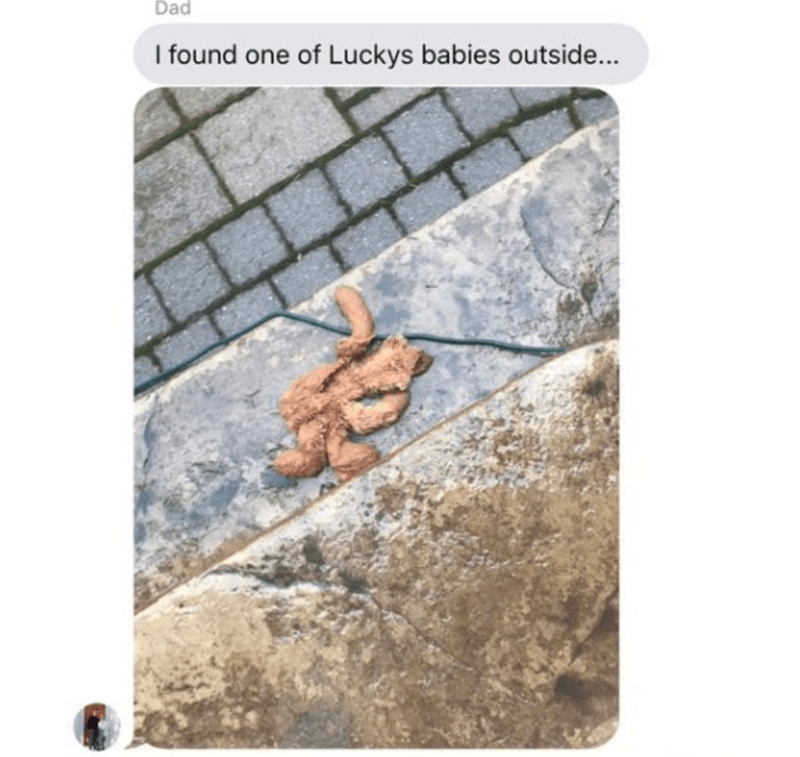 This dog abandoned one of his favourite toys, but luckily, his dad found it. 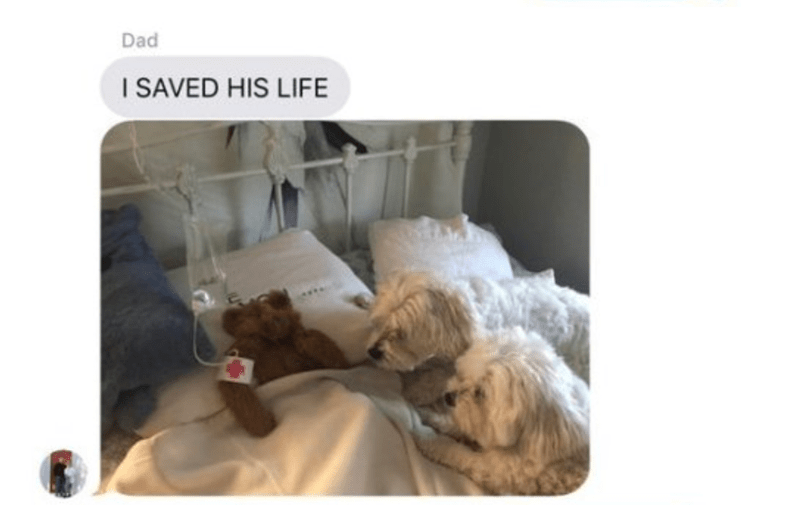 He “rescued” the toy in the most hilarious way possible. He definitely put a lot of effort into it, as you can see. 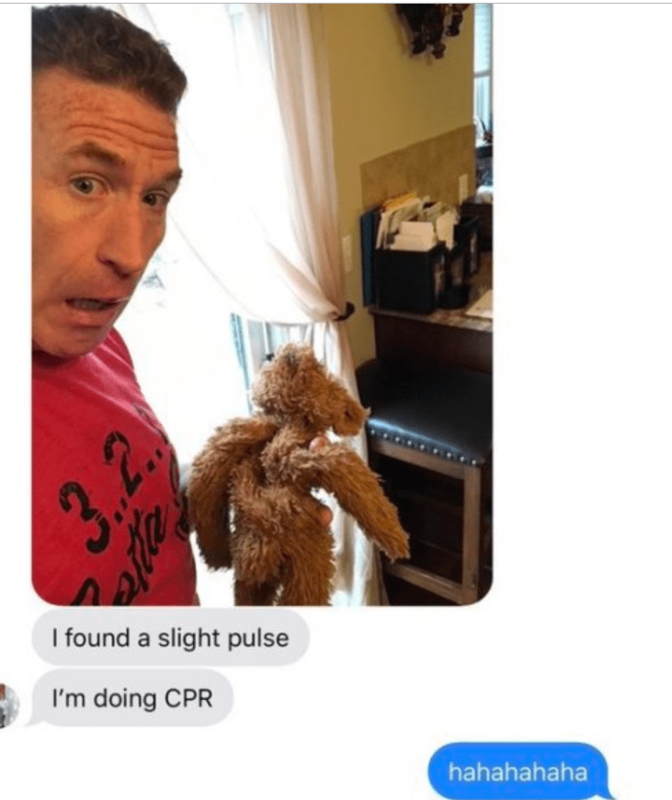 This conversation between Michaella and her parents has been going viral, and you’ll soon figure out why. Oh no, what’s the sad news? He found the abandoned toy outside. We can still save it. You have to do it for your baby sometimes. 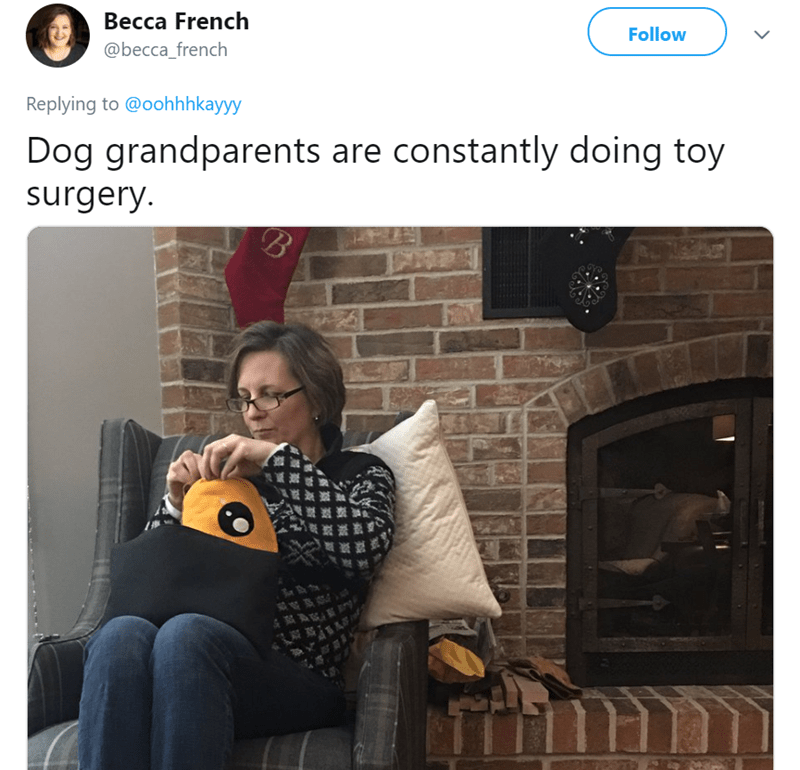 Dog grandparents are the best. 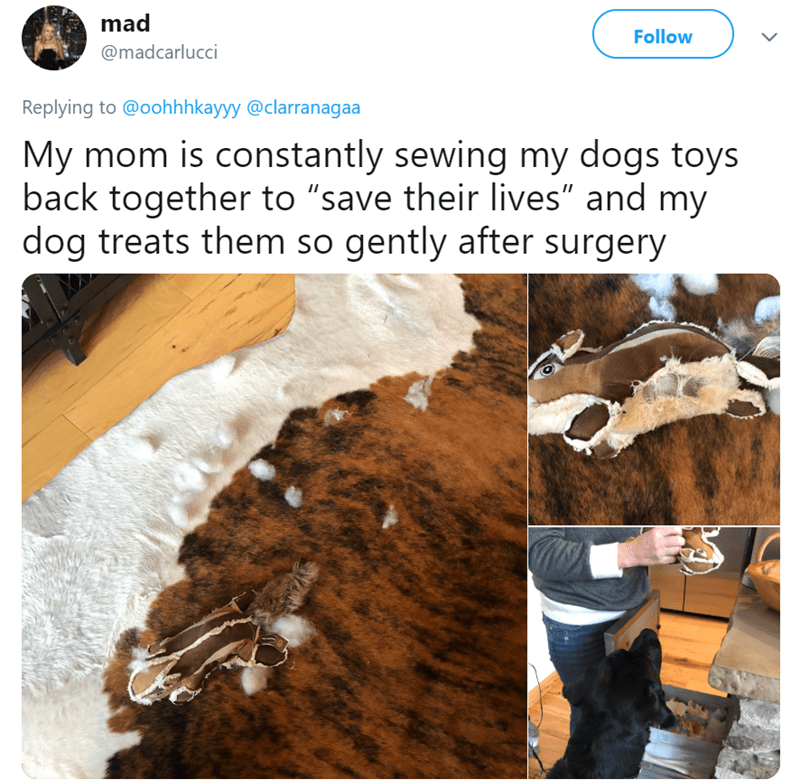 Have you ever performed toy surgery? Was it successful? Let us know in the comments below.